I had an awesome time with my homie Keesha of PrissyCook.com today- it was a total girl-o-rama. We had lunch and coffee at Liberty Market (one of my absolutely fave East Valley hangouts) and over our delicious beverages, I mentioned that I really wanted to learn how to knit. Keesha suggested we pick up some yarn and she’d give me a lesson. We picked some up at the craft store, and I’ve been a knitting fool ever since. I’m hoping my fingers get used to it and hurt less, because they haven’t been this cramped since the days of handwriting book reports. 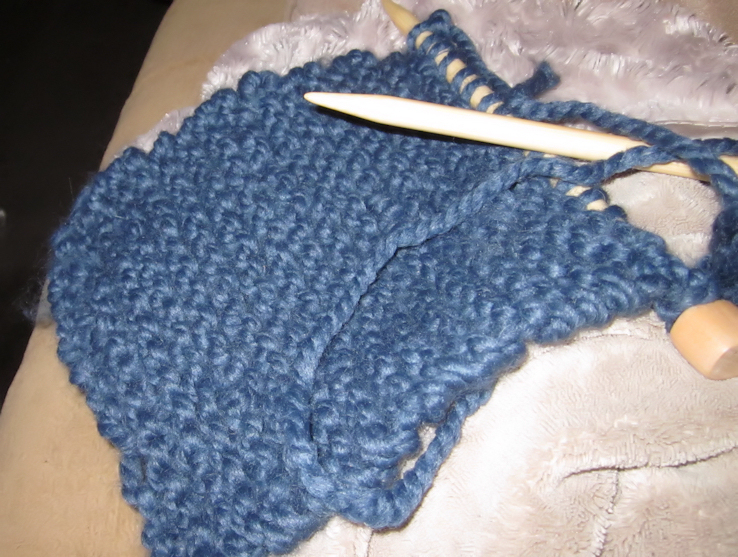 So this is my little scarf so far… It’s looking pretty wonky, but it’s my first bash at it. Don’t judge me. Awesome… I have never learned how… I can crochet tho… Keep it up!! Enjoying my pretty life one snapshot at a time.